Zed -- maybe even named Zircon -- being used as a second season villain seems to a very good possibility, being the new champion to replace Galvanax to keep up with the two-main villain style. I doubt they will use the ToQger suits though, but them being intergalactic heroes that is part of Galaxy Warriors could be doable I guess. Not sure if they could incorporate the Galaxy Line as it is movie only so maybe they'll just keep the Rainbow Line if they did, although maybe they just won't adapt it as they are just going to probably promote the Ninninger-adapted toys. With the other generals, I feel other than Nero, Noire and Morc are the ones that seemingly you can adapt. Schwarz may be a bit similar to Nazi's so they may not adapt him -- that, and he looks militaristic rather than bourgeois which IMO those 3's motif have to fit with the rich intergalactic producers motif. Not sure if they could Glitter in this one, but what if she's the daughter of Nero and Noire, and will become the "Curio" of the season for comic relief, haha. P.S. I have another idea -- what if Morc is Nero's mother-in-law, and is the owner of the network the franchise is in, I mean that would have some interesting husband, mother-in-law comedy that you usually get haha. I've got it.How to adapt Z's sparkle plotline. Z is the new creative producer and struggling badly to keep the ratings. Consequently, everybody else gets what is consistently evading him: a bright idea. I mean they never used ANY of the Go-Busters costumes for Dino Charge why should they start now? Because they didn't even bother to buy the Go-Busters stuff. It's that simple. Did you read the first post? 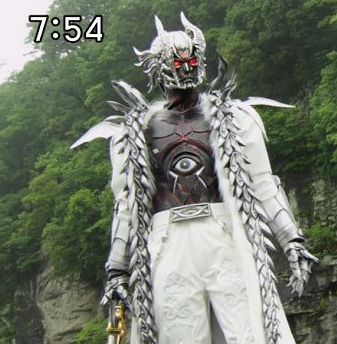 With the ranger suits usually newly made for the series from what I know, I wonder if they could create multiple Shadow ToQger suits so that maybe they will be evil rangers at first but turns into "regular ToQgers" later on.